If your partner is a Libra, love is an idealistic fairytale. Libra people are in love with love, romantic and charming, but quite dependent on a partner. They need partners who will nurture them and support them. Libra could be your soulmate if you’re looking for romance but hate drama. Above all the rest your Libra lover is the most passionate, the most comforting and the most amiable of the sun signs. It is just in their nature. It is likely that you were the wall flower and they approached you at the party. They struck up a conversation because they sensed in you a discontentedness, or alienation. It was their gentle and comforting way that appealed so quickly to your heart and then they attacked your head. This is the general pattern of the Libran lovers, to reach out for the emotional aspects in people, and yet because of their almost insatiable thirst for knowledge, you won’t get out of a relationship with Libra before demonstrating an interest in more scholarly parts of the world. But don’t get too deep with a Libra, since they are one of the air signs, their attention can wane and be spotty at best. They love to delve into hobbies like a flash in the pan, hot and quick. This incessant need for variety can be a real strength or an incredible weakness. Be aware of this tendency and make sure that you can see the warning signs in your Libra. When their eyes start to wander change the subject, there is no point trying to force the issue with a Libra, since even if they wanted to keep going their mind may be forcing them in different directions than they want to go in. Try and flow with their mind and their desires, it is often interesting and always exciting. The Libran is always very intuitive. They know when you are lying and they know when you are trying to conceal some emotion or anger. It is always recommended to be honest with a lover that sits inside of the Libran sun sign, since they have a built in lie detector and are always on the look out for deception. This intuition means strong paternal/maternal instincts and a great deal of empathy. They are constantly making sure that you are ok, and that everyone around them is having fun. Don’t expect to be able to hold on to your Libra at a party and though they will be regularly looking for you and peppering you with affection, their more emotional empathic side drives them around. If you are on the hunt for a Libra man or woman, don’t force things with them. Though being swept of one’s feet is always attractive, the Libra may have so much on the go that it is important to integrate yourself into their world initially. Don’t let this stop your from romance and spontaneity, just recognize when and how. Just make those little decisions for them. If you can’t decide between Chinese and Thai, just figure out which one you would rather, and then make it happen. Don’t mistake this indecision for a desire to have all of their life decided by others. On the contrary, it is a good lover’s job to help Libra overcome the ineffectualness that can sometimes arise as a result of this personality trait. Don’t let them lose out on opportunities because they are so concerned with making the right decision that they make no decision. As signs that sit opposite one another on the zodiac wheel, Aries is assertive and Libra is Passive so the energy levels of these two signs are different, which can drive each other crazy. However on the plus side, as we know opposites do attract, the Libra charm can be potent enough to melt the Aries fiery and sometimes abrasive nature. Libra can teach the bold and rash Ram to adopt a softer approach, while Aries can teach Libra to step out of their comfort zone now and again and be brave enough to take a chance on life. They both like to win, but for different reasons. Libra works toward a win-win outcome and really only feels a situation has been successful if both or all parties are happy with the outcome, they aim for a peaceful resolution to every situation. On the other hand, action orientated Aries will stop at nothing to win simply because they thrive on the challenge and if for no other reason than to prove they were right all along. For Libra, breeding and all things of a cultural nature are innate, it’s in the Libran zodiac DNA. Aries, on the other hand, are not that concerned about the ‘proper’ way to do anything – they shoot from the hip! Yes, opposite scan attract, but there is a wide gap with these two. If they can recognize the gifts they provide each other this connection can be a winner, but it is not without understanding and compromise from both sides. Art and culture is what brings the connection of Taurus and Libra together and the pursuit of the finer things of life can keep these two happily attached at the hip forever. They both share an appreciation for culture and the arts. You can find them taking in a show that’s acclaimed on Broadway, on the board of the local arts group, picnicking in the park where a show or film is being performed, buying up art of their enviable collection or rummaging around in antique stores for the perfect side table for their home. They are both Venus babies, ruled by the love goddess, and this automatically gives them a love of beautiful possessions and a desire to purchase them. This influence also makes them incurable romantics who love to dine out and entertain at home. The home environment and everything that encompasses the home, family, relationships, possessions, food and entertainment is very important to both signs and the more esthetically pleasing and luxuriously their abode is outfitted the better. This is a harmonious union and if true love exists, in a perfect world, Taurus can overlook the irritation of Libra’s insistent back and forth procrastination, and allow them to be who they are. And Libran can allow Taurus to sort things out by themselves without having the need to share every finer detail of the process with them. As always, life and love is about balance and compromise! Arm in arm, they strive to please each other. There’s not likely to be any conflict here, and that’s just the way these two like it. Both air signs, they are on the same wave length. There is an innate understanding between them from the very beginning, which only grows with time. It’s as if their souls blend together like a well-oiled machine. Both are fundamentally mental in their approach to life. They both require freedom, change and above all, they must respect their partner’s intellect, which is no problem here. Both signs require social engagement and an active, outgoing life, and will surely be valued guests at many gatherings for their uplifting and inspiring presence. They match each other as conversationalists (not an easy task!) and will share a good deal of common interests, including travel, all areas of higher thought and exploration and aesthetic appreciation. While both operate fundamentally from the realm of thought, Libra seeks peace in balance, their discord stems from feeling unable to commit to a choice or align with one viewpoint versus another. Gemini lives with ambiguity easily and embraces contradictions without any problem. Gemini can help Libra let go of some angst while Libra can help Gemini focus and direct their energies. Libra is a cardinal sign – they lead action. Gemini is mutable, they add wisdom and adapt to others. Libra is ultimately in charge, in other words, and as long as Gemini feels free to spread their wings, the arrangement suits both perfectly. These two understand each other. Of course there are likely to be differences, but not many, and nothing that can’t be solved. Neither will want to start a confrontation, but when conflicts arise, things will smooth over back to normal in no time. This is a romantic match, which provides the opportunity to learn important love lessons. Mainly these lessons will be where their highest priorities are in life, whether at work or at home. These are the areas where they most easily understand each other and create harmony. The emotional sensitivity of the Moon, ruling Cancer, resonates sympathetically with the loving, beautiful rays of Venus, influencing Libra, and relating on a level of feeling helps to by-pass the inherent friction that exists between this couple’s essential natures. Libra, the sign of relationship, is primarily focused outwardly, upon others, and Cancer, the sign of personal, emotional subjectivity, is primarily focused inward. Understanding and respecting these inherently opposite qualities of their partners is essential. Libra sees the glass half full and can cajole Cancer out of his or her heavy preoccupations, if the crab lets them. Both signs are gentle and charming and with compatible placements elsewhere in their charts, they can evolve through compromise and compassion. When Cancer is in one of their humorous moods, the fun loving nature of Libra fully emerges - this pair should remember to laugh together! Libra can help Cancer let go and lighten up, while Cancer can help Libra deepen their understanding of the nature of the human heart. Extroverted Libra is open and expressive, while introverted Cancer is quiet and reflective. Putting these two together is not an easy task and even if it does appear to work, there will be massive adjustments on an ongoing basis. When these two do click, they can work well together as creative partners, both being ‘idea people’ who get projects started. Together, they’re a showstopper sight! Ruled by the Sun and Venus, these two share a radiant, positive approach to life, a highly developed aesthetic sense and a taste for luxury. Libra has charm, poise and an instinctual need to please others, which matches Leo’s style perfectly. Leo needs to feel adored and important, and in return are fiercely loyal and will lavish their love interest with all the riches of their kingdom. Both signs are romantic, socially oriented, fun loving and expressive, and share fundamental values. Libra, the lover and peace-maker, fights for justice and courageous Leo feels drawn to protect the weak and helpless. When they are in tune they can conquer anything. Leo commands center stage (it’s only natural) and Libra graciously and diplomatically honors their monarch, knowing just the right combination of praise and affirmation to convince Leo that they are, in fact, in charge. Libra will agree with most things Leo commands and then gently, subtly, lovingly and sweetly suggest and cajole the Lion onto a course more in line with their own desires, often times. Big hearted Leo usually doesn’t mind, if they notice at all – that’s how powerful Libra’s spell can be! Libra is Cardinal in quality, they get things started. Leo is a fixed sign, they keep the ball rolling. Both signs are natural leaders, but conflicts won’t often arise, as their energies blend so well. These two communicate extremely well and can create a powerful, joyous and harmonious union that includes true friendship, professional collaboration and intimate partnerships. They dazzle as a couple and enjoy a truly special rapport. They are socially oriented and love to entertain, and between them, they can network their way to success. A fulfilling relationship on every level. Both of these Autumn born beauties desire a harmonious existence, and this match can work if Virgo learns to deliver his or her suggestions with a little sugar coating and Libra doesn’t assume that Virgo will take care of all the chores and responsibilities. Both signs can be disarmingly gracious and charming, and in the beginning, at least, they’ll go out of their way to be gentle and accommodating with each other. Libra appreciates Virgo’s refinement, intelligence and impeccability. Libra was born for courtship, and Virgo relishes the romantic thoughtfulness their Venus ruled partner can lavish upon them. Virgo understands Libra’s need for beauty and balance, and they’ll find in each other a delightful companion with which to enjoy both the arts and nature. Libra seeks to please and find acceptance, and to that end will agree to Virgo’s demands — up to a point. After all, Virgo is simply insisting on quality and integrity, and who could argue with that? After a while, however, Virgo’s realism can drag Libra down, while Libra’s seemingly endless capacity for social interactions may grow tiresome to Virgo. These two must first of all be genuine friends, with a foundation respect, if they are to work at building a serious relationship. With lots of understanding, and compromise, it has potential. This union can look like being a good match, but there always seems to be something missing. Libra can be too sensitive for Virgo’s honesty. Likewise, Virgo feels misunderstood and alone when Libra goes in for seemingly superficial diversions or avoids harsh realities, leaving the dirty work to Virgo. This leaves Libra feeling unhappy and Virgo alienated or abandoned, which does not make for a good union. With compatible planets and placements elsewhere between them, however, this match can work if the requisite friendship and respect are in place to forge a strong foundation. Peace, Love And Understanding - and plenty of balancing acts along the way! Libra is the sign of relationship; these two were born for love and can find perfect harmony together. Though in balancing their respective scales, that harmony can include a good many ‘discussions,’ as they sort out their feelings on any and all issues, in their attempts to find the answer, direction or decision that feels the most fair and right. Venus, their ruling planet, graces them with endless charm, poise, artistic sensitivity and social skills. They’re romantic and sentimental and share a deep appreciation of beauty in all its forms. Museums, concerts, poetry, performances – and parties - are pastimes they will share with joy. Libra needs an aesthetically pleasing and soothing environment; a Libra nest is sure to be feathered with tasteful décor and plenty of books. As an air sign, Libra experiences life primarily through the realm of thought. These two will talk – a lot – and never tire of each other’s company or conversation, even if it veers into the realm of debate, which it may on occasion! They are so attuned to each other and so primed to please, that they’ll never lack for loving affirmation or support. Libra goes to almost any length to insure their partner’s happiness; their partner’s dreams or goals become as important to them as if they were their own. Together they can create an oasis of beauty that serves as a sanctuary from the harsh discord of the world. As the sign of relatedness, Libra requires plenty of social interaction, and as happy as they are as a couple, socializing with others feeds their spirits also. The Libra love match is idyllic. They express their care with sincerity and sensitivity. Libra does just about anything for their partner to ensure that they are happy. Indeed, it’s a blissful match. Nurturing love lessons! Libra has much to learn from Scorpio, who inherently understands the challenges that come with struggling for balance and harmony that Libra knows so well. If anyone can soften Scorpio’s temperament it’s Libra – their caring and sharing personality is hard to refuse or ignore. Libra looks on the sunny side, their optimistic approach to life can alleviate some of the Scorpio intensity and heaviness, but it can also start to grate. Scorpio goes where Libra fears to tread – straight into the heart of darkness, to plumb the depths of mystery and revelation that lie beneath the surface. Libra seeks to create beauty and harmony, and in their effort to process the opposing forces in life they can get pretty out of balance and cranky. 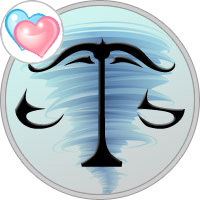 Scorpio’s sensitivity and perception helps Libra chill out, Scorpio offers compassion, encouragement and guidance that’s exactly what Libra needs to find their balance again. Venus ruled Libra can charm the birds out of the trees, and they can be manipulative. Pluto ruled Scorpio is nobody’s fool, however, and while drawn in by Libra’s grace and poise, they see through the strategy and may grow weary of such ploys. As an air sign, Libra experiences life primarily through the realm of thought and ideas, whereas Scorpio operates fundamentally on an emotional level. Libra can be pretty detached, for all their genuine concern for others, and though Scorpio may feign detachment, they are anything but. As much as they would like to get along, this relationship just misses – unless, of course, harmonious placements elsewhere in their charts balance out. They make great friends, and can work well together, but as intimate partners these two may find that their essential differences outweigh the attraction between them. If these two click, they will be there for each other and build a deep level of support through the good as well as the challenging times. They can both be authoritative in their own way, and for the most part, Libra is more than happy with Capricorn taking control and making the decisions. They are likeable signs who are popular with other people and between them can build a strong and varied group of friends and colleagues, associations that can last a life time. They have an appreciation for art and cultural interests, as well as good food and good friends. Libra, ruled by planet Venus, has a love for all things of beauty. Capricorn looks for quality, and when you put the quest for beauty and quality together, you have a lot of compatibility and common interests in more than one area of life, which is a good basis for lasting love. If they develop a strong friendship, which can happen over time, it will be the glue that holds their relationship together. Both cardinal signs, there is a lot that can work with this relationship but there must be understanding, give and take, and a level of equality in the way that both of their priorities are important for it to last the distance of time. They also need to align their values and goals, to ensure they move in the same direction. These two are in creative heaven! With their Suns trine in the air element, they instinctively ‘get’ each other. Their attraction on a romantic and intellectual level excites and stimulates them both and their shared values spark creative impulses that expand and enrich their lives - and possibly the lives of many others! Both signs are idealistic and socially aware and can be crusaders for truth, justice and a better world. They share a fundamentally positive outlook and communicate with each other extremely well. Their styles are markedly different but any conflicts will likely be superficial and easily overcome. Futuristic and freedom oriented Aquarius teaches Libra to be open-minded and embrace a world where anything is possible. Libra sees the other’s point of view and intuitively seeks to create harmony. Aquarius can be hot headed and extreme in their expression - Libra teaches them how to be calm, cool and collected. Their mind-sync is profound – this couple can go the distance and never tire of each other’s company. Respect and mutual appreciation create a strong foundation in friendship that supports any kind of partnership these two explore together. They will never bore each other, and they’re natural lovers and team-mates. Their energies complement and enhance each other and they’ll instinctively know how to support and nurture their partner. When conflicts arise, it’s generally not for long, with both parties quickly sorting out how to resolve issues. A classic match.